On Tuesday, January 22, a bill was filed in Massachusetts to end competitive residential electric supply starting in 2020. Currently, residential (in addition to commercial and industrial) customers can get their electric supply competitively, from third-party competitive suppliers, rather than the utility. 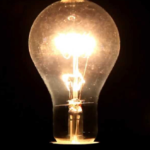 But bill HD 1204/SD 880, An Act Relative to Protecting Residential Electric Customers,…. 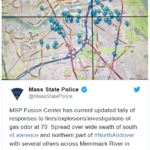 One person is dead and several others are injured after natural gas fires and explosions shook Lawrence and the surrounding area Thursday afternoon. A gas line pressure problem in the area has affected Lawrence, North Andover, and Andover. Firefighters and other emergency crews have responded to at least 70 addresses for fires, explosions, or the…. 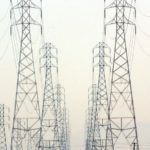 NSTAR Electric Company d/b/a Eversource Energy recently filed new basic service rates for the Medium and Large Commercial and Industrial class in western Massachusetts (the WCMA Load Zone, formerly the Western Massachusetts Electric Company service area), for the three-month period beginning October 1, 2018. WCMA’s new basic service rates (in $/kWh) are below. The prices…. As expected, the Massachusetts House and Senate approved a clean energy bill on Tuesday that seeks to boost the state’s reliance on renewable energy sources. The legislature (H 4857), which was unveiled on Monday, represents a compromise (it leaves most of the Senate provisions from a previous version of the bill behind) and a modest…. According to U.S. intelligence officials and technology company executives, state-sponsored Russian hackers appear more focused in disrupting the U.S. power grid than midterm elections. Apart from attempts to infiltrate the online accounts of two Senate Democrats who are up for re-election, intelligence officials have seen relatively little effort by Russian hackers aimed at major U.S….. The hotly contested debate over whether New England needs a new pipeline infrastructure raged on at the Senate Energy and Natural Resources Committee last week. 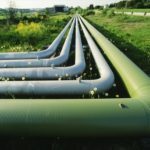 At the committee, Joe Kelliher, former chairman of the Federal Energy Regulatory Commission (FERC) and now executive vice president at NextEra Energy, questioned the need for a new pipeline. Kelliher…. 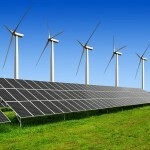 Wind and Solar to Comprise 50% of Global Generation by 2050? 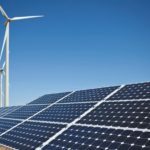 According to a report from Bloomberg New Energy Finance (BNEF), wind and solar power may comprise 50 percent of global electricity generation by 2050. 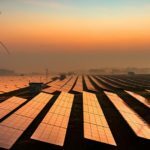 65 researchers from BNEF assembled data on the evolving cost of clean energy technologies across the globe and put together the 150-page New Energy Outlook (NEO) 2018 report. The researchers predict…. On Friday, June 1, President Trump ordered Energy Secretary Rick Perry to help coal and nuclear power plants by immediately halting their shutdown. According to the White House, these power plants are an important part of the United States’ energy mix and electric grid. The White House worries the country’s electric grid is at risk…..
Last week, Massachusetts Governor Charlie Baker’s administration introduced a bill for a policy that would stipulate more use of clean energy during Massachusetts’ hours of peak demand grid. The policy represents an allocation of $1.4 billion toward climate change and environmental protection. 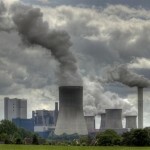 The bill, Clean Peak Standard, would align with the state’s greenhouse gas reduction…. 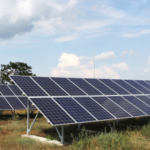 In January, the Massachusetts Department of Energy Resources (DOER) released the final regulations for its Solar Massachusetts Renewable Target (SMART), a new solar program that eliminates and replaces the Solar Renewable Energy Credits (SREC) program. The SREC program allows investors to trade credits for their clean power on an open market. But SREC reached its….